A report on the conference held at the University of Nottingham Ningbo China. Last November delegates from UK, Australia, Middle East, China, India gathered in the unique setting of the University of Nottingham Ningbo China to explore the challenges of managing universities in an era of globalization. The conference, supported by The Chronicle of Higher Education, was organized to bring together senior managers and leaders to share best practice around developing and operating campuses abroad, and builds on Nottingham’s strengths as a successful research-led UK university with an excellent reputation for international leadership and management. The conference opened with an overview (from me) of Nottingham’s experience of operating campuses in the United Kingdom, China and Malaysia. This first presentation led on the benefits for both universities and their students of opening campuses abroad, highlighting Nottingham’s strengths as a successful research-led UK university with an excellent reputation for international leadership and management. Clarity of vision, long-term commitment and a detailed understanding of the local context were crucial to success. The session outlined the programme for the event which covered every dimension of international higher education leadership, from strategy development to global branding, virtual provision to researching in China and many aspects of student and staff experiences. The four-day specialised conference offered speakers from many other international institutions with expertise in globalising higher education. These included senior managers from i-Graduate, Benoy, The Parthenon Group, The Association of Business Schools, the British Council and other universities, Murdoch University, the University of Liverpool and the University of the West of Scotland. Nottingham’s Vice-Chancellor, Professor David Greenaway, as well as the University’s the Director of Marketing, Communications and Recruitment, the Assistant Pro-Vice Chancellor for Teaching and Learning and the Deputy Director of Human Resources all participated in speeches and workshop sessions. Nottingham’s international leaders, the Provost and CEO of The University of Nottingham Malaysia Campus (UNMC), the Provost and the Vice Provost of UNNC were also involved. Full details about the International Leadership Conference can be found here. Professor Nick Miles, Pro-Vice-Chancellor and Provost of the University of Nottingham Ningbo China, launched proceedings and spoke passionately of the successes of UNNC and the enormous opportunities for further growth and development in China. 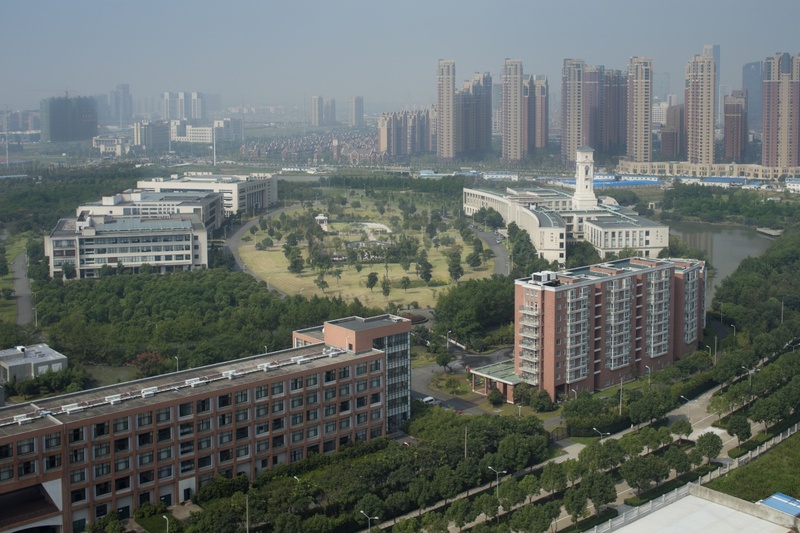 The campus had achieved much and staff had overcome many challenges and now occupied a prominent position in the Chinese Higher Education system. In addition to exploring the local, regional and national context, he addressed strategic issues, the quality of the education provided and the high calibre of students, graduate employability (which sees 100% progress into jobs or higher level study), quality assurance, cultural issues and staffing matters. 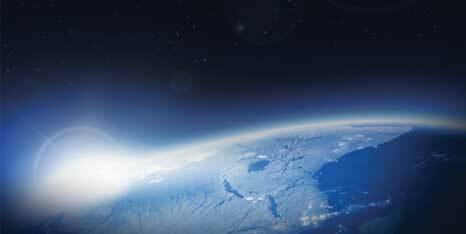 Nottingham represents a new model of global higher education. Students and staff are offered study and travel opportunities to help position them for success, and Nottingham conducts coordinated research on some of the most pressing global human concerns and social problems simultaneously in three different but complementary national contexts. The University established its first overseas campus in Malaysia 13 years ago and has since won two Queen’s Awards – one for Enterprise in International Trade in 2001 and another in 2006 in recognition of Nottingham’s position as the world’s first foreign university to receive a licence to open a campus in China. The University has been building international links for decades. In 1950, the first group of Malaysian students arrived in Nottingham, beginning an over 60-year association with the University which has seen Nottingham graduates such as YAB Dato’ Sri Mohd Najib Tun Abdul Razak, the current Prime Minister of Malaysia, become leading members of society. In 2000, The University of Nottingham Malaysia Campus first opened its doors to just 90 students in Kuala Lumpur. Since then, our student body in Malaysia has grown to almost 5,000 – including more than 70 nationalities – based at our 125-acre dedicated campus site in Semenyih. The University’s links with China also date back many years, featuring well over 90 collaborations with Chinese universities. In 1999 the University elected academician Professor Yang Fujia as its Chancellor. With the then Vice-Chancellor, Sir Colin Campbell, they developed a vision for a new hybrid style of university in China. In July 2003, new legislation in China was passed permitting the establishment of foreign campuses in China. The University of Nottingham was the first university to receive a licence to operate a campus under this legislation. The result was the opening in 2004 of the campus in the prosperous and successful city of Ningbo in Zhejiang Province. 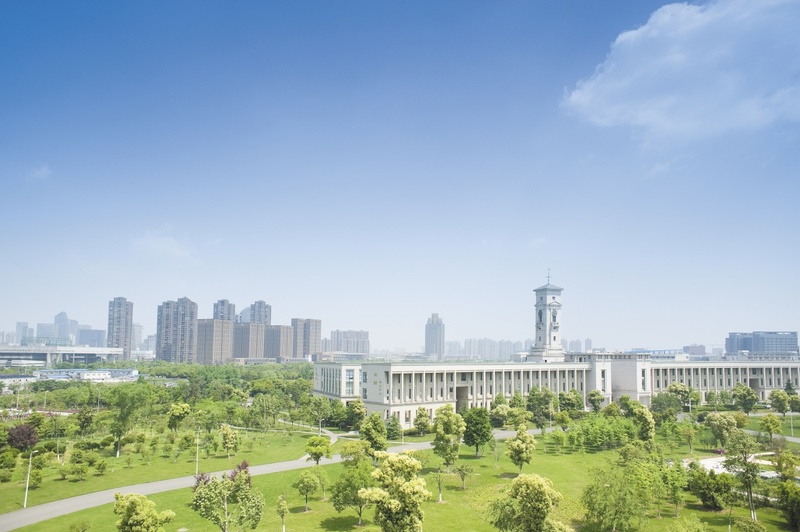 The University of Nottingham Ningbo Campus now has over 5,800 students. David Wright, Senior Advisor to the Parthenon Group explored the full range of issues involved in developing a global strategy for higher education institutions. Delegates considered key dimensions of strategy and discussed the continued growth in student numbers, the operation of international offices in universities, the emergence of the ‘Agent Corporation’ as a major player in the global student recruitment market and different aspects of channel management for institutions in developing their strategies. Understanding China’s market for higher education was the theme for Jeremy Chan Regional Head of Research and Consultancy in East Asia for the British Council. Jeremy set out a comprehensive picture of China’s economy, demographic and political developments. Although he noted that population changes had led some to suggest that the appetite for higher education for students within China and those who wished to travel abroad it was his view that the growing affluence of the population overall meant that student numbers would continue to grow in the coming years. The UK remained the top partner for transnational education in China although its activities were heavily biased towards undergraduate provision unlike, for example, the US and Australia which had larger postgraduate numbers involved. Branch campus operations, where the University of Nottingham Ningbo China had led the way, were also being pursued by an increasing number of other leading Western universities. Professor Christine Ennew, Pro-Vice-Chancellor and Provost of the University of Nottingham Malaysia Campus, explored the motivation of universities in mapping new routes to internationalisation in higher education across academic, cultural, political and economic dimensions. She argued that higher education has always been international in character and unconstrained by national borders but the challenge now was to deal with the sheer scale of such activity and to manage internationalization effectively. A range of different models of international engagement were explored and the many challenges, pitfalls and benefits considered. Emma Leech, Director of Marketing, Communications and Recruitment at the University of Nottingham UK explored the challenges faced by higher education in establishing global branding and reputation and informed delegates of the approach which had been taken by Nottingham in developing its position. The challenges of plotting a distinctive course and sustaining reputation were discussed. A further session looked at transformational communications and the need to harness engagement across institutions to support change with specific reference to online opportunities. A range of possibilities were explored including social media, which, whilst challenging to manage effectively, could be used creatively to engage students and to assist with change management. At the heart of such activity though was the need to communicate with clarity and to ensure transparency. Professor Craig Mahoney, Principal and Vice-Chancellor of the University of the West of Scotland offered a passionately delivered case for the fundamental importance of teaching within higher education and for its thorough professionalization. Noting that all too often academic staff tended to rely on their own, often extremely dated, student experience as the basis for their teaching methods, he argued strongly that all teachers should be trained to teach. Not only did they need to understand and build upon the experiences of today’s school children, tomorrow’s undergraduates, but all teachers had to be accustomed to exploiting technology in order to enhance the learning experience. Professor Mahoney went on to propose a European or even a global academy for teaching and learning in order to support, promote and reinforce the vital status of teaching. Student satisfaction, benchmarking the global student experience, data and feedback were covered in whirlwind presentation by Will Archer, Chief Executive of iGraduate, which tracks student views across the globe. Drawing on the example of one leading university he explained how Student Barometer data could be used to drive change and improvement in the student experience. Professor Julie Sanders, Vice-Provost for Teaching and Learning at the University of Nottingham Ningbo China, and Professor Wyn Morgan, Assistant Pro-Vice-Chancellor at the University of Nottingham UK, discussed approaches to developing and delivering an international student experience. Covering issues around changing student profile, promoting global citizenship, the challenges of internationalizing the curriculum and creative approaches to classroom activities, the presenters offered a comprehensive picture of the student experience in a very different context. Hot topics such as blended online and face to face learning, use of social media in teaching and the rise of MOOCs in China were also the subject of debate. Virtual spaces as places for learning and the role of postgraduate online global higher education communities was the topic for Professor Clare Pickles, Academic Director (Education) for Laureate Online Education and Director of Online Studies for the University of Liverpool’s Professional Doctorate in Higher Education. Clare provided a comprehensive overview of the ways in which her students work and collaborate online and how they are aided by faculty and student support advisors located around the globe. Delegates also learned about the development of an online graduate school and Clare’s own YouTube channel through which she provided updates to students on current higher education issues as she travelled round the world. Paul Marshall, Chief Executive of the Association of Business Schools (ABS), explored the challenges of running business schools in a global higher education environment. Noting the remarkable fact that 90% of MBA students in the UK were international he went on to observe that too many business schools looked too similar and offered the same provision. Whilst 16 business schools in the UK and 59 worldwide had triple accreditation, which was seen as a major selling point, it was not clear that students valued accreditation at all. All faced major challenges, wherever in the world they operated, and ABS was undertaking a range of activities to support and guide change in the sector. Undertaking research in China offers huge opportunities for new areas of work but also some challenges. Professor Fintan Cullen, Dean of Arts and Education and Acting Dean of the Graduate School at the University of Nottingham Ningbo China., led a lively session involving academic colleagues from English and Contemporary China Studies and three current PhD students from Education, the Business School and Economics. The major attraction for researchers was the fact that many areas of activity in many disciplines had not been subject to serious investigation and therefore the territory was very open for all kinds of research. Delegates were fascinated to hear the research students outline their studies in consumer behaviour, international university branch campus leadership and the import challenges for foreign companies operating in China. All agreed that the unique opportunities offered by the presence of the University of Nottingham Ningbo China made research activity hugely attractive. Such research would often push against boundaries but care was required to avoid breaching them. Further discussion covered the training provided for new PhD supervisors and the progress in building a graduate community in the University. The many challenges of international staff recruitment were covered in a session led by Peter McCracken, Deputy Director of Human Resources at the University of Nottingham. Addressing everything from contractual issues, tax matters, visas, the particular complexities of operating in China and the importance of pre-interview campus visits and comprehensive induction arrangements, the session gave rise to a whole host of detailed questions from delegates. The make up of the University of Nottingham Ningbo China’s staff was also explored and the presenter acknowledged that the challenges faced continued to change and evolve although huge progress had been made. Changing patterns of leadership in a global higher education environment was the theme for Jon Baldwin, Deputy Vice-Chancellor (Professional Services) at Australia’s Murdoch University. In an entertaining survey of different models and structures of leadership in universities from the collegial to the bureaucratic, all of which were in some way contested he noted that a recent study published by the UK’s Leadership Foundation had concluded that “nothing efinitive can be said about leadership in higher education”. One key example he explored was the different leadership approaches which had been taken by different universities to the establishment of overseas branch campuses. The most insightful analysis of HE leadership though he attributed to a taxi driver who, after hearing a detailed explanation of the Registrar’s role, summarized it in a distinctively positive way: “all indoors and no heavy lifting”. growth story. The journey since the early days of the company in Newark in the 1970s and a difficult set of circumstances in the recession of the early 80s led to a number of breakthrough moments over subsequent years including the Bluewater shopping centre in Kent, the redevelopment of the Bullring in Birmingham, the creation of Media City in Salford and the Westfield shopping centre in East London. Since then the company had grown hugely and internationally and undertaken major projects in Hong Kong, China and Abu Dhabi. Benoy realized early on the opportunities provided by the growth of China’s economy and now had a major presence there and over 300 staff based in East Asia. The company retained a strong entrepreneurial ethos and sought to move staff around its offices to ensure a sustained culture and that the company could respond in a consistent manner. Thinking internationally and acting locally was a key feature of Benoy’s strategy and the effective sharing of knowledge across the organisation was seen as an essential success factor. Delegates were hugely impressed with the presentation and the many parallels with global higher education developments. 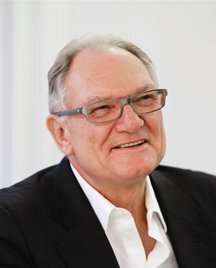 In a keynote presentation the Vice-Chancellor of the University of Nottingham, Professor David Greenaway, set out the origins of the University’s internationalization strategy and the recognition that the future was in Asia which ultimately led to the establishment of campuses in Malaysia and China. He stressed the long term commitment to continuing to work in both nations and the development of new research strands – including in global food security via the Crops for the Future initiative in Malaysia and the new International Academy for the Marine Economy and Technology in Ningbo, the fourth largest port in the world. Clarity of vision, integration of systems and processes across three campuses and the strength of local leadership were highlighted as key success factors. Overall, conference participants enjoyed an outstanding and diverse range of sessions and the lessons learned for leading global universities. Delegates were thanked for their contributions and it was hoped that they had benefitted from exploring these major strategic themes across higher education in the unique and real context of the University of Nottingham Ningbo China. Going to college generally pays off. But not all colleges are the same, and not all students end up at places where they’re likely to fare well. Dropping out or overborrowing—or both—are widely recognized problems. To try to prevent them, the federal government has unveiled a bunch of new tools to give prospective students more information. 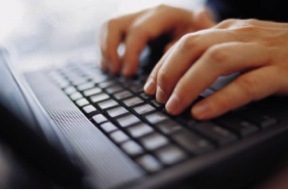 College Navigator offers a trove of searchable data. The College Scorecard features comparative performance measures. The Shopping Sheet is a standardized financial-aid award format. In August, President Obama announced plans to develop a college-ratings system. Yes, more consumer information. But it could go further, if Congress, as the administration hopes, ties the ratings to financial aid. Several existing tools, the ratings plan, and the do-it-yourself counterproposal all boil down to disclosure. But is more consumer information enough to steer students toward better choices? The context is a little different here though. It’s seen by some as a something of a cheap policy option and perhaps less burdensome than other forms of regulation. And as the piece says it is perhaps easier to tell people about the shortcomings of institutions than it is to fix the problems. However, the overall conclusion is, rightly, that what is really needed is not another website or additional data but more and better guidance for prospective students.